How Far is Ramana Nithin Castle? 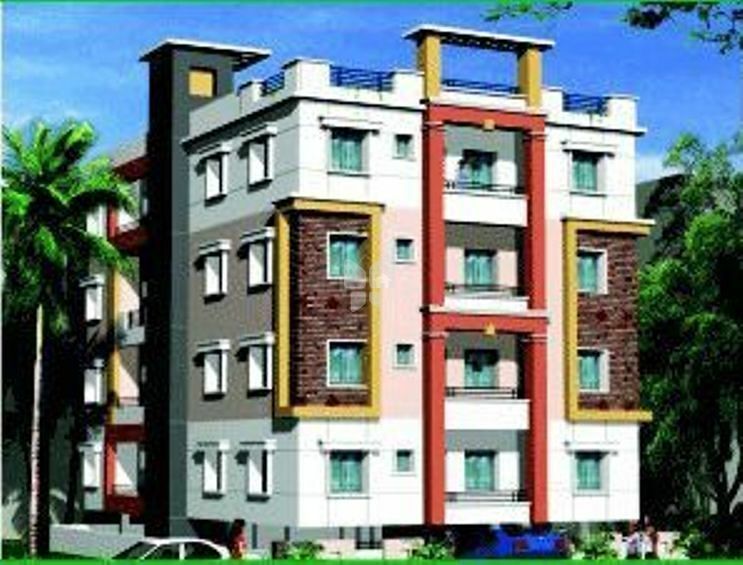 Ramana Nithin Castle developed by Ramana Constructions is one of the popular residential complex in Hyderabad. 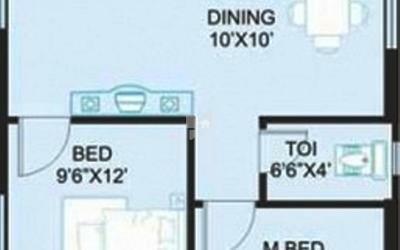 It provides 2 BHK apartments with basic amenities. The complex is well connected to major hospitals, banks, schools and shopping malls. Plastering with cement mortar in double coat with sponge finish. External: Two coats exterior emulsion paint over one coat of primer. Windows: Windows frames and shutters in Teak wood with quality glass panels, fitted with elegantly designed M.S Painted grills. Bathrooms: Acid resistant anti skid ceramic tiles of reputed make. Utility: Anti skid ceramic tiles of reputed make. Granite Platform with stainless steel sink & provision for fixing of Aqua-guard. CLADDING and DADOING: Dadoing up to door height in toilets. Up to 2\'0\" height tiles above kitchen platform upto 3\'0\" height with glazed ceramic tiles in Utility/wash. Granite platform with stainless steel sink for kitchen. Concealed copper wiring, PVC insulated wires of Standard make. Modular switches of Standard make. Power outlets for AIR conditioners in all bedrooms. Power outlets for Geysers in all bathrooms. Power provision for cooking range chimney, refrigerator, microwave ovens, mixers/grinders in kitchen. Plug points for TV audio systems etc. All electrical fittings are of Standard make.